We are already wrapped in the spirit of April, the Month of Direction, as declared by the Loveworld president. The global communion that took place just a few days ago was resplendent the grace of God and the Holy Spirit. Pastor Chris whose words beamed form the platform created an atmosphere of unimaginable energy. Accompanying him, was an array of LMAM artists who lit up the stage with their inspirational songs and prayers. 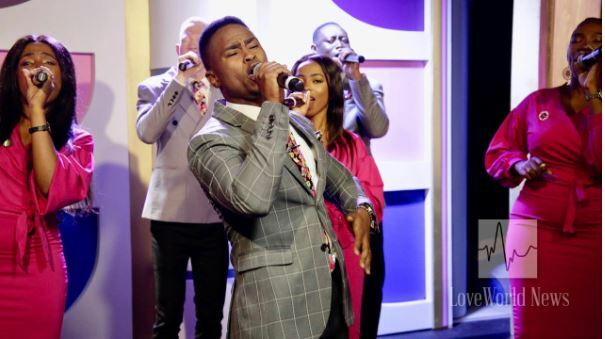 In addition to the gospel performances, also present were countless ssenior ministers such as, Reverend Tom Amenkhienan, Pastor Yemisi Kudehinbu and Pastor Femi Otenigbagbe, who all joined the LoveWorld President on the Communion Service studio set, to answer questions from participants around the world. 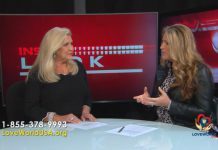 Questions were raised on array on topics by LoveWorld audience members, one of such questions concerned the relationship between technology and Christianity, and whether it is to be avoided or encouraged. 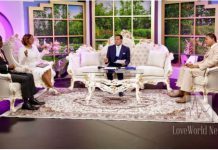 Pastor Chris responded by saying that “[Science and technology] is man’s discovery in God’s world,” Pastor Chris said, emphasizing that science and technology do not oppose the Word of God when they enhance the lives of human beings. “You can tell that [some technology] was made against God when it is created to destroy man”. The global audience were fortunate enough to watch highlights from the ‘6 Days of Glory’ with Pastor Chris. 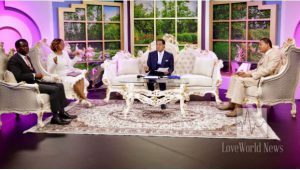 According to LoveWorld News, “in an excerpt of the man of God’s teachings during the program, he expounded on Ephesians 1:13-14, declaring that the Christian has been sealed with the Holy Spirit. “When you are sealed, it means no matter what’s happening in this world, it should not affect you,” Pastor Chris said.